The death toll from historic West Virginia flooding rose all day Friday. At least 20 are dead after severe thunderstorms dumped nine inches of rain. 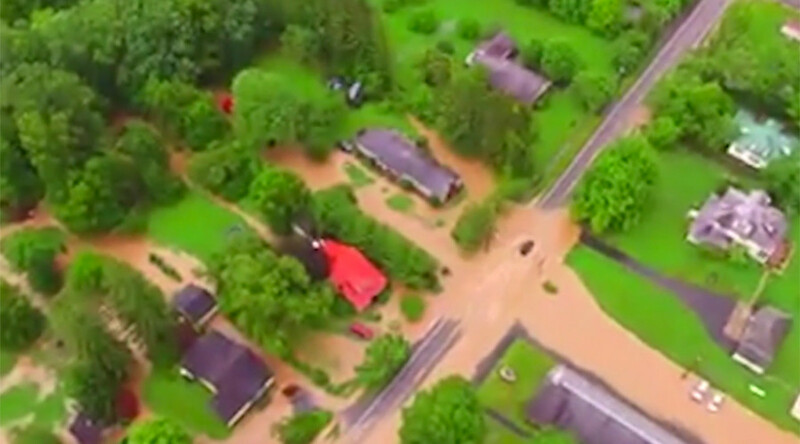 A state of emergency has been declared in 44 of 55 counties in West Virginia in the wake of storms and floods that hit the state on Thursday night. Twenty people have died, and hundreds are trapped inside a shopping mall cut off by the flooding. 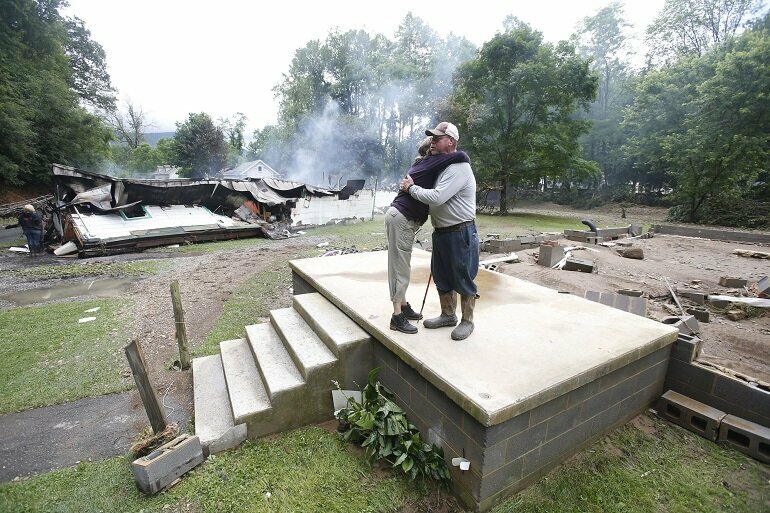 The death toll from the floods has climbed to 20, a spokesperson for West Virginia's emergency management agency said Friday evening, noting that the hardest hit area is in Greenbrier County in the southeastern part of the state, where 15 people have died. About 500 people became stranded inside a shopping mall in the town of Elkview, some 12 miles (19km) from the state's capital, Charleston, on Thursday. Employees and customers became trapped inside Crossings Mall after a bridge that connected the center to a main road collapsed. While the bridge was completely washed out by the severe waters, emergency teams are now working on building a new, temporary one to help people get out of the shopping center. The relief effort hit a snag after the original temporary bridge built by the National Guard turned out to be too short, reported WSAZ. A new bridge was sent for. State authorities are building a gravel road to approach the shopping plaza from the other side, but it will not be finished until Saturday afternoon, the governor’s office told RT. Fortunately, people stranded at the shopping center have plenty of food available, and the area still has electricity, RT found out from the state Division of Homeland Security and Emergency Management. At least six people were reported dead in the state by Friday morning. Three of the victims, including an elderly man and a woman who was washed away in her vehicle, were from Kanawha County, where Charleston is located. In Ohio County, an eight-year-old boy was killed after he slipped into a creek and was carried away, local reports suggested. Another child, believed to be between two and four years old, was also swept away by raging waters in Jackson County. Rescue operations to find the missing toddler continued on Friday morning. Some 500,000 people have been left without power in the state, electric utilities reported. According to Gov. Tomblin, the flooding is "among the worst in a century for some parts of the state."